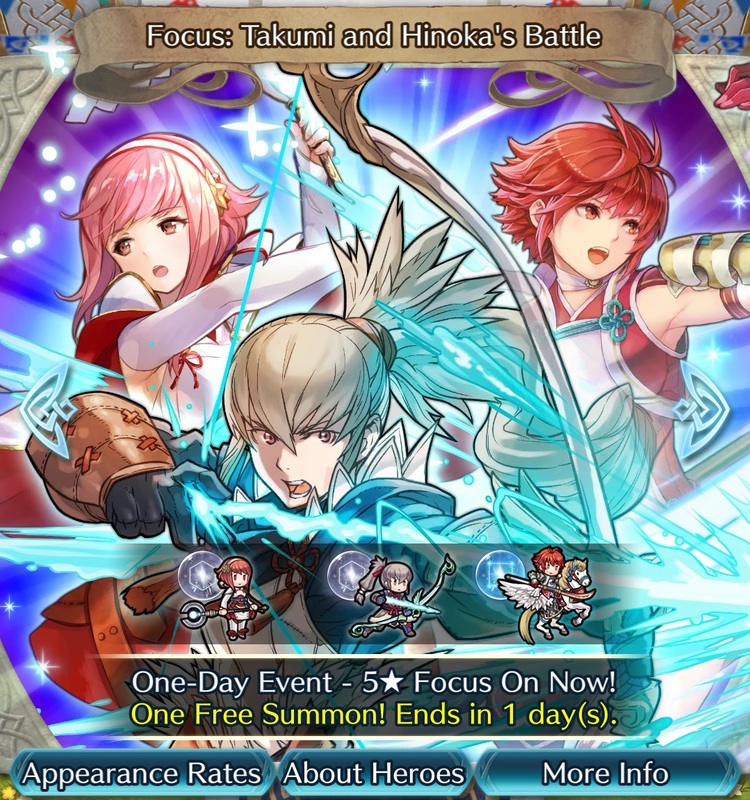 Following on the latest trend, two battle-themed Summoning Focuses are now live in Fire Emblem Heroes — “Takumi and Hinoka’s Battle” and “Cherche and Virion’s Battle”. 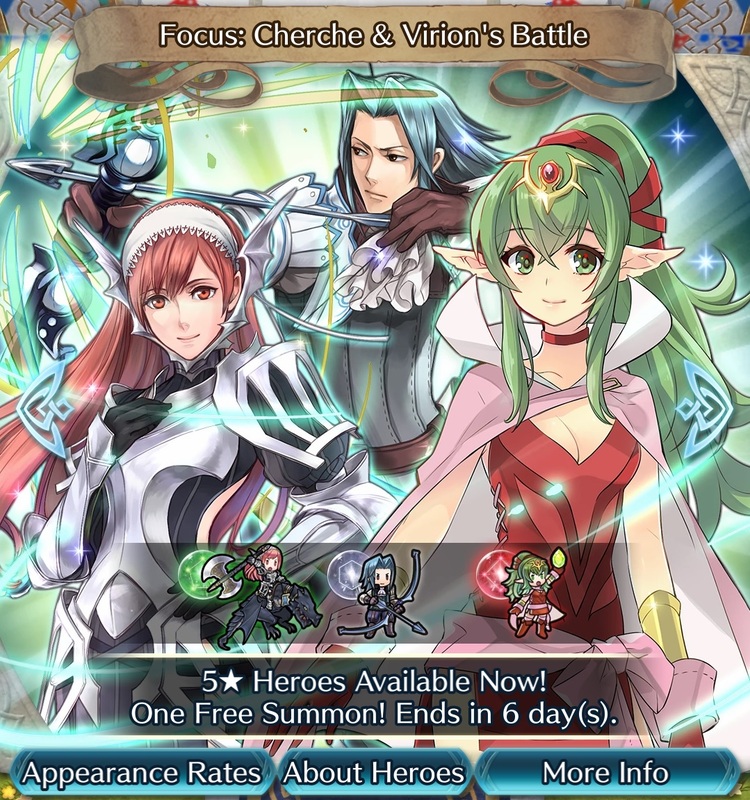 While the first is slated to only last 24 hours, “Cherche and Virion’s Battle” will go until February 18th. “Takumi and Hinoka’s Battle” will feature Takumi (Wild Card), Hinoka (Warrior Princess), and Sakura (Loving Priestess), while Cherche (Wyvern Friend), Virion (Eliter Acher), and Tiki (Naga’s Voice) are the focus in the other.